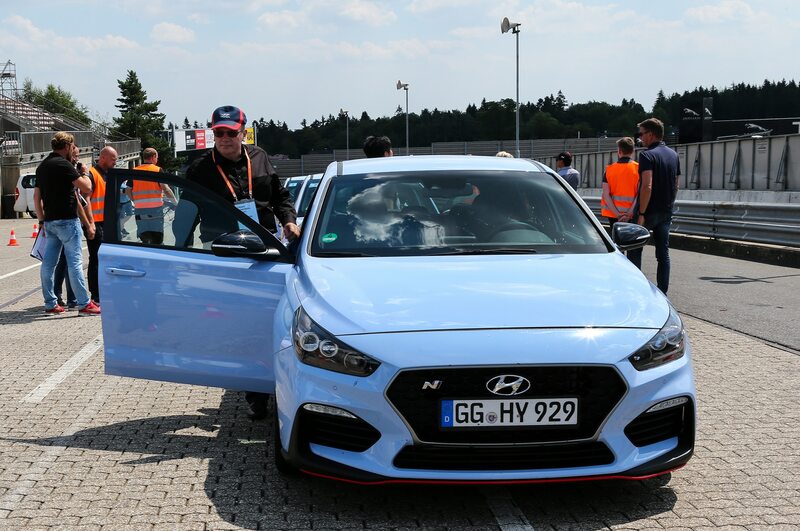 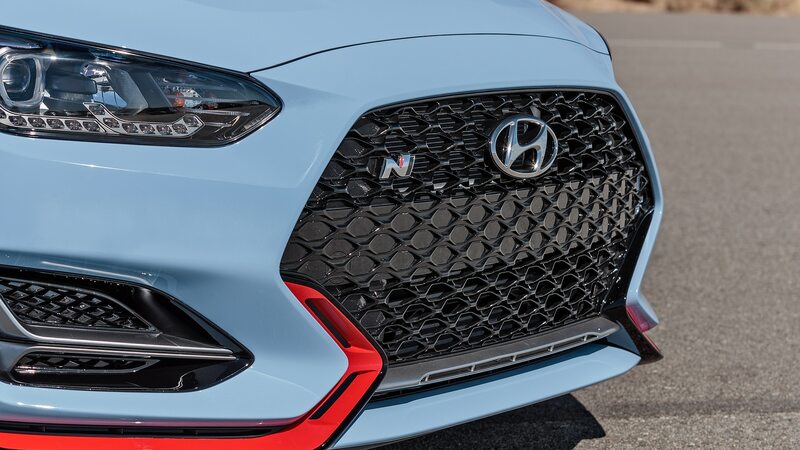 It may only have three doors, but the 2019 Hyundai Veloster N looks ready to take on the best hot hatches in the segment. 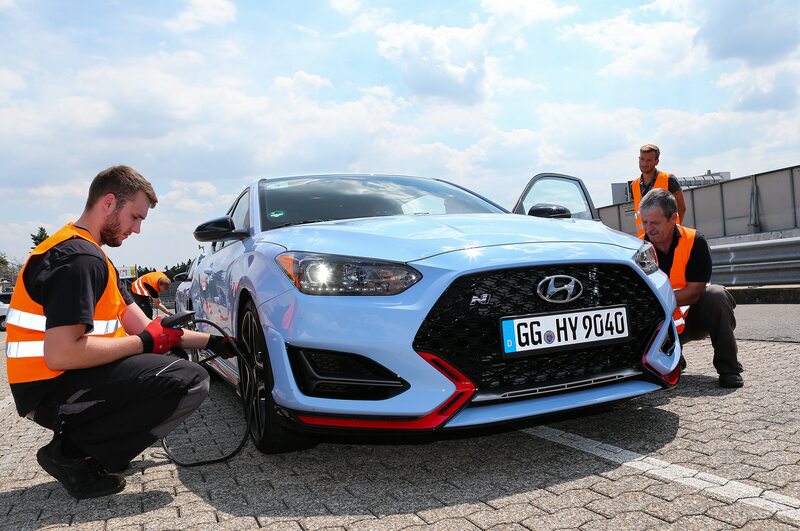 The base version gets a 250-hp turbocharged 2.0-liter engine and a suspension developed by the former head of BMW’s M division. 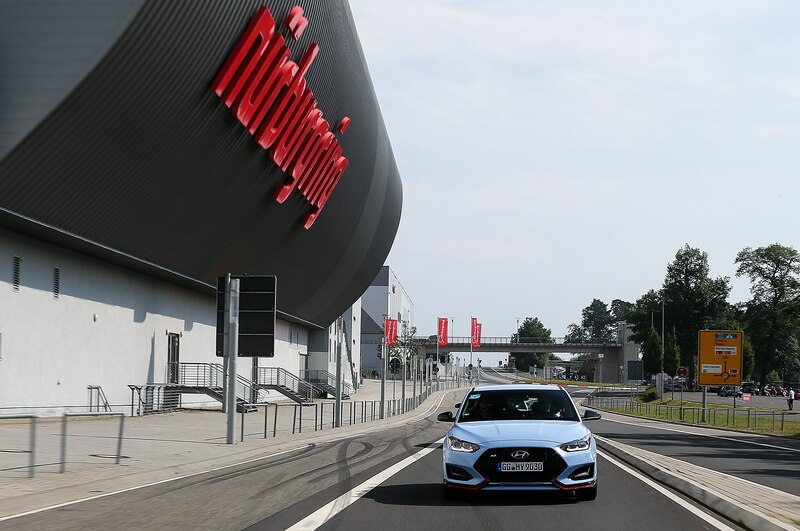 It promised to be fun, but from the beginning, pricing was always the big question. 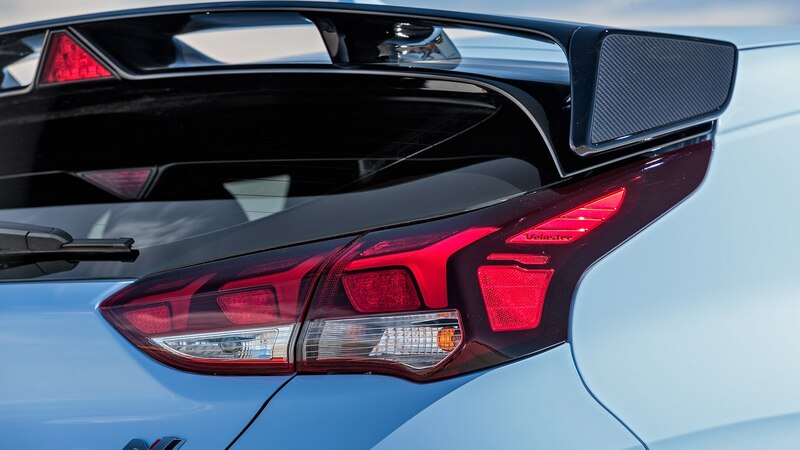 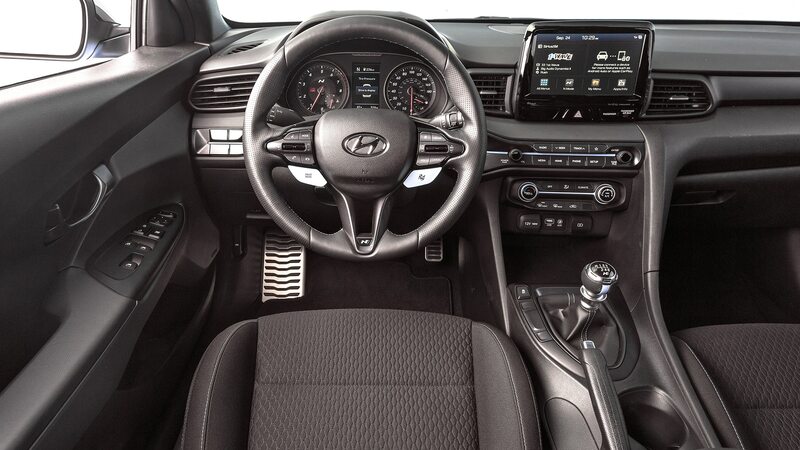 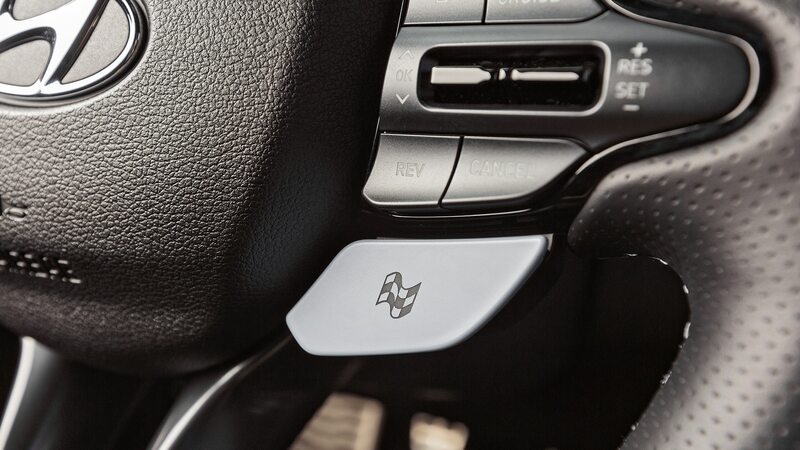 Would the Veloster N be an OK deal or a great deal? 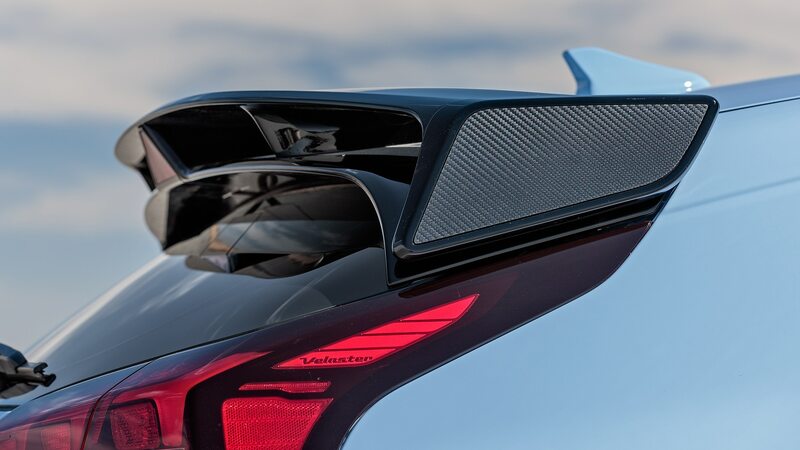 Now we know. 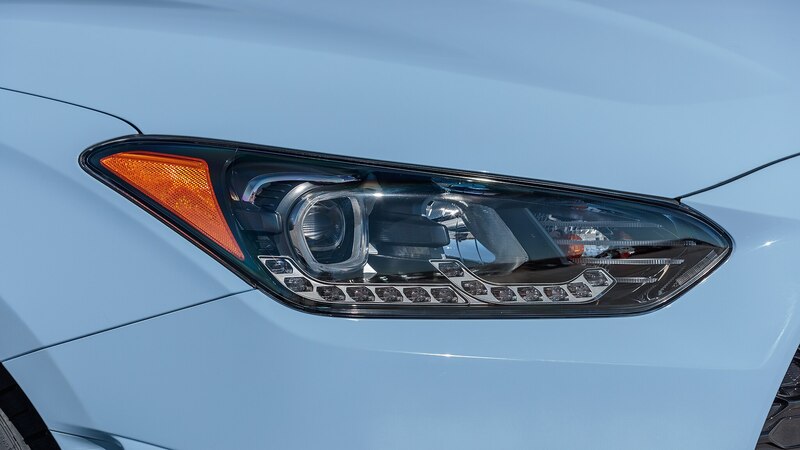 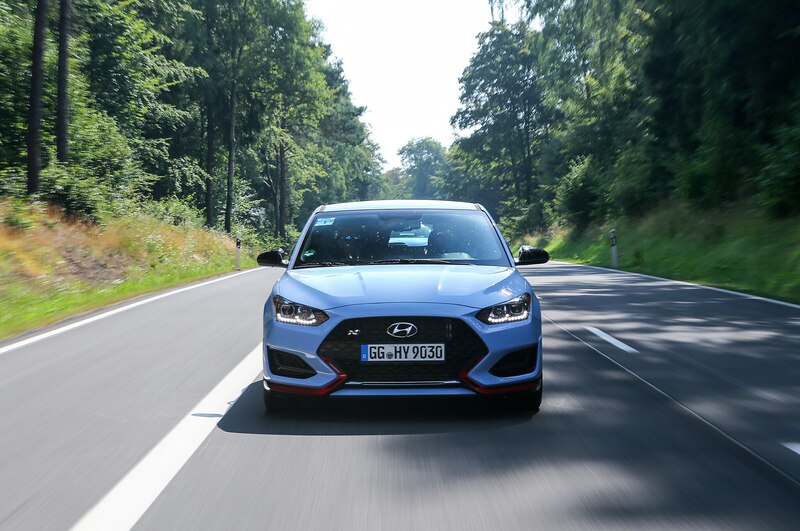 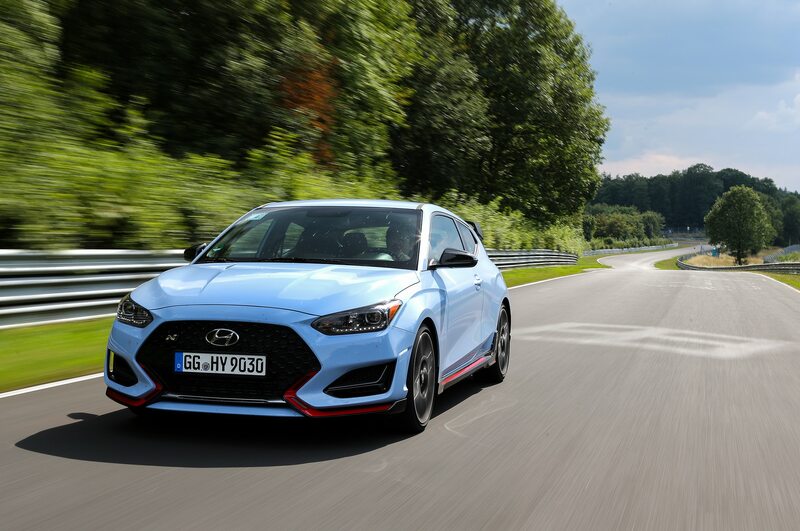 Today, Hyundai announced pricing for the 2019 Veloster N. Choose the base model, and it will cost you $27,785 including destination. 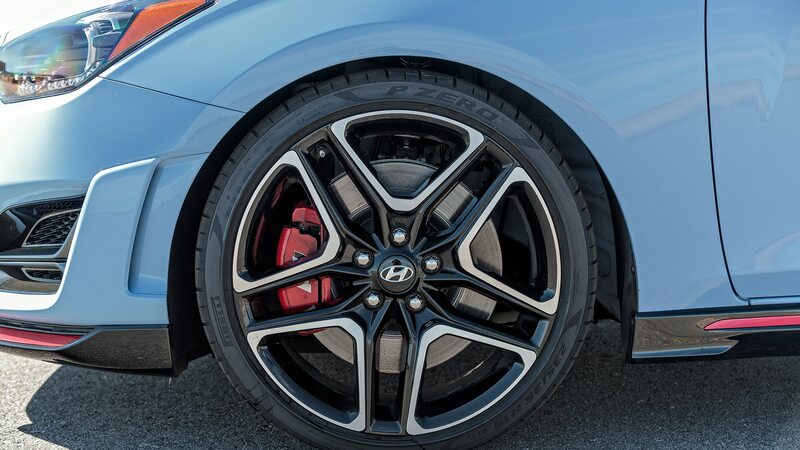 That’s only a few hundred dollars more than the starting price of the Volkswagen GTI. 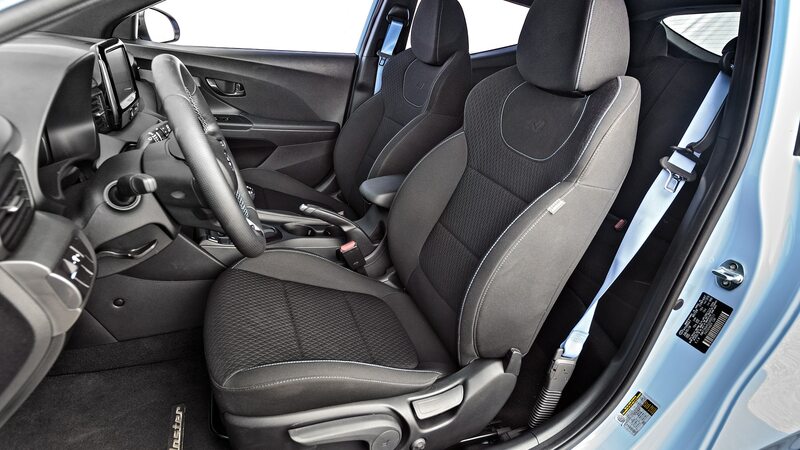 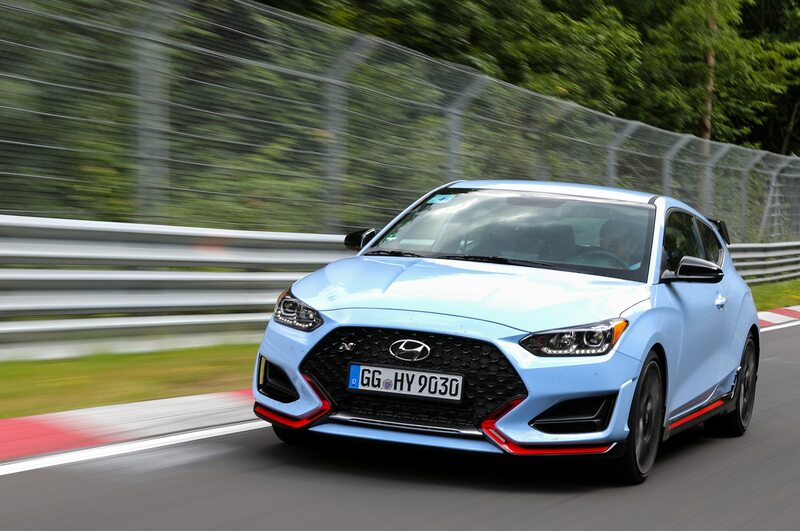 Cabin materials may be nicer in the VW, but with only 220 hp under the hood, the GTI is down quite a bit on power compared to the Veloster N.
Add the optional Performance Package, as we imagine most buyers will, and you’re looking at an even better performance bargain. 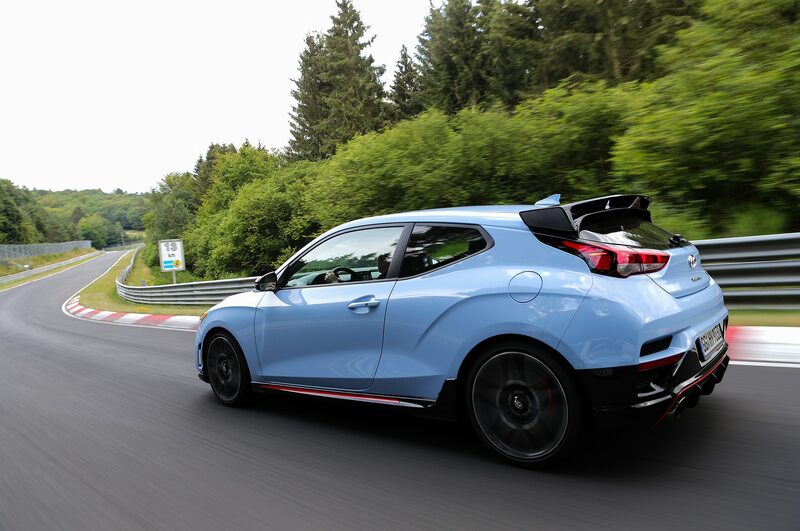 Power increases to 275 hp, and you get a limited-slip differential, modular exhaust system, bigger brakes, 19-inch wheels, and sticky Pirelli P Zero tires. 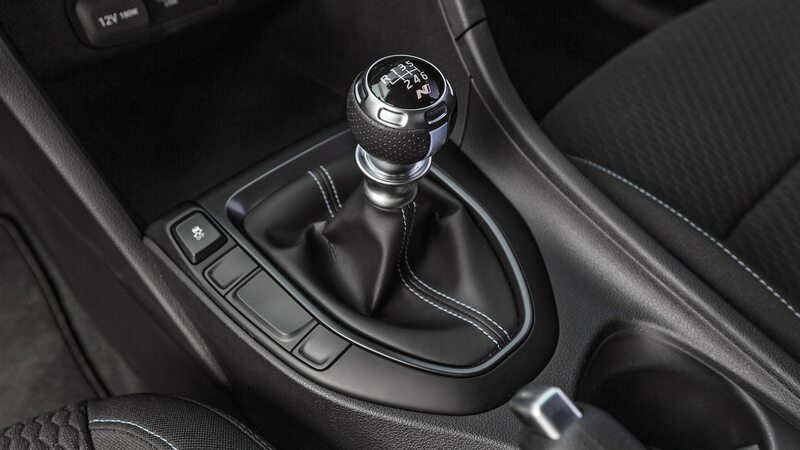 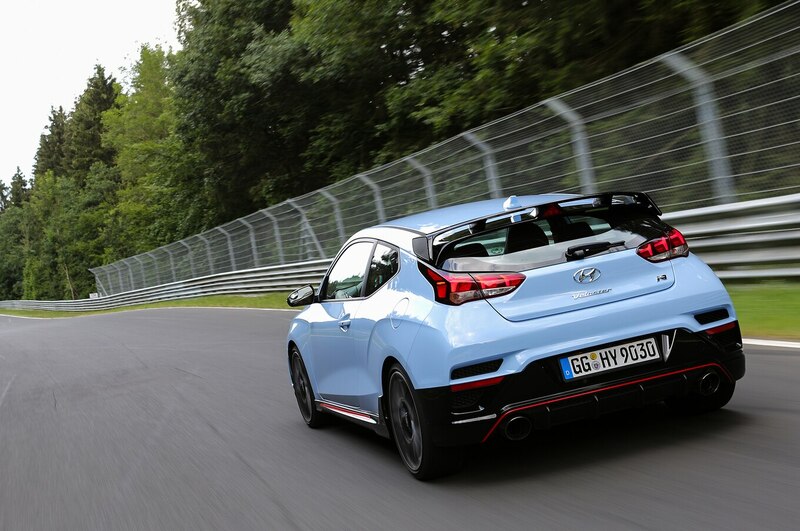 All that can be had for a mere $2,100, meaning the cost of a Veloster N with the Performance Package is $29,885. 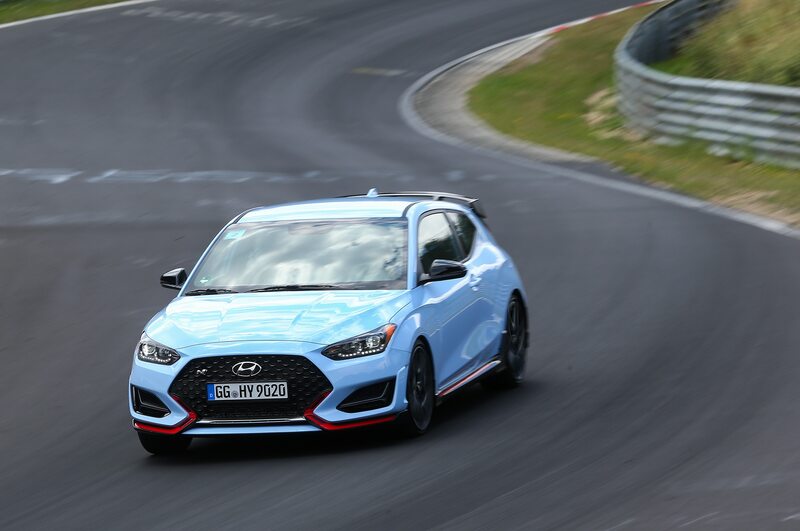 Now that Ford’s canceled the Focus ST, that makes a Performance Package-equipped Veloster N more of a Subaru WRX competitor. 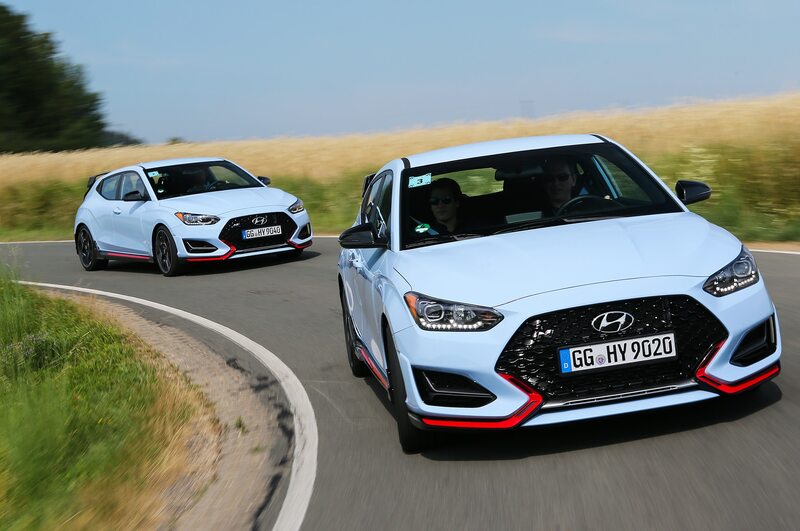 But since it doesn’t come with all-wheel drive, buyers are probably more likely to think of the Veloster N as a budget-priced Honda Civic Type R. The 2019 Type R just increased its base price $1,000 to $36,595. 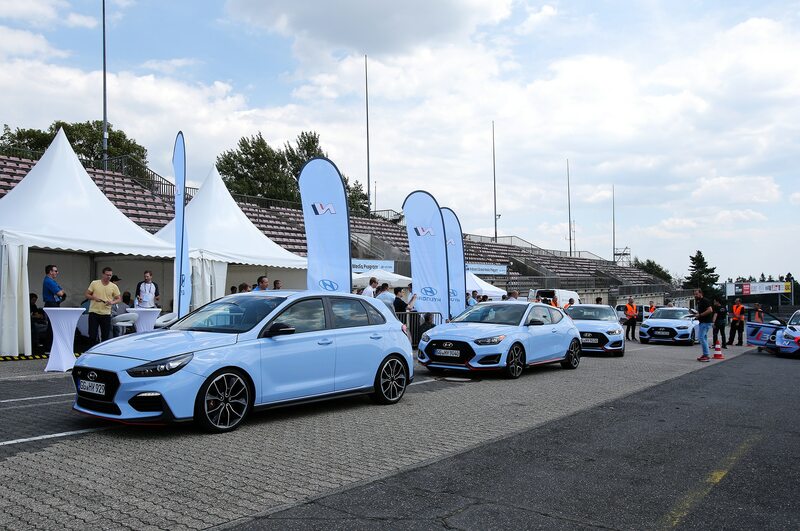 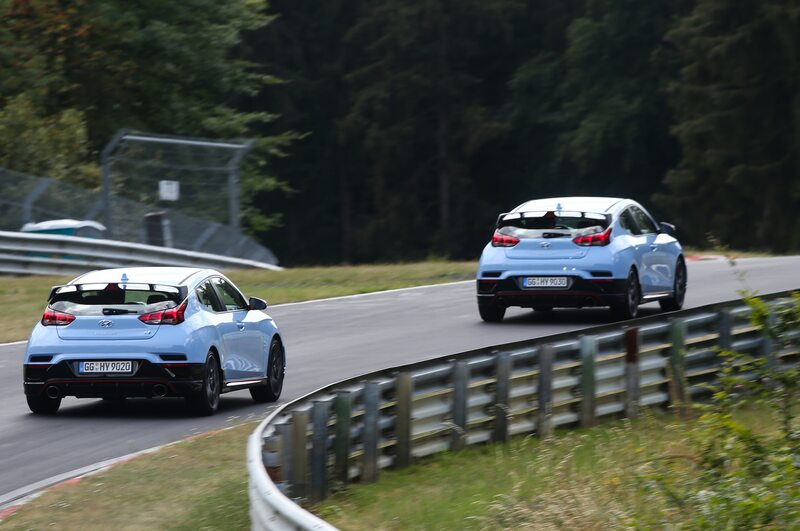 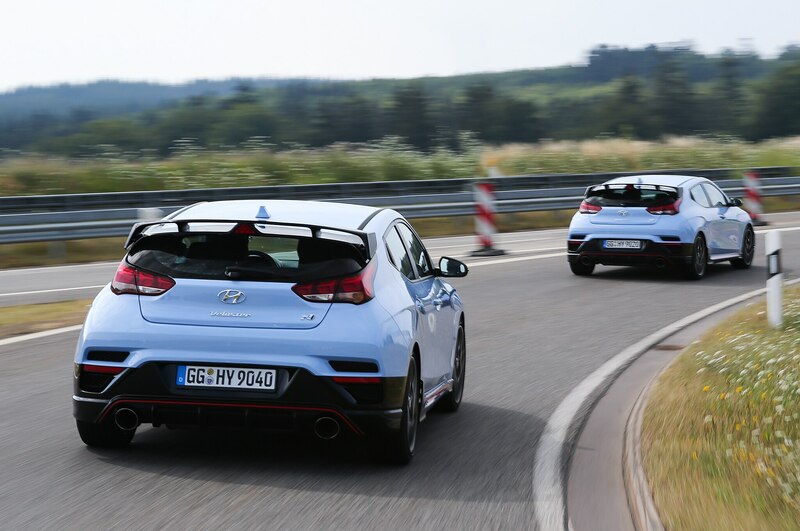 That sounds like a pretty good deal to us, but we’ll reserve judgement until we have the chance to drive the two hot hatches back to back. 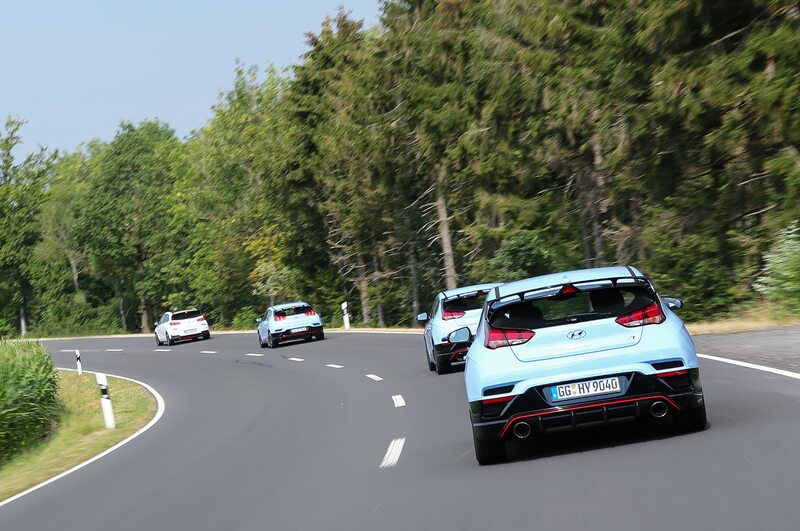 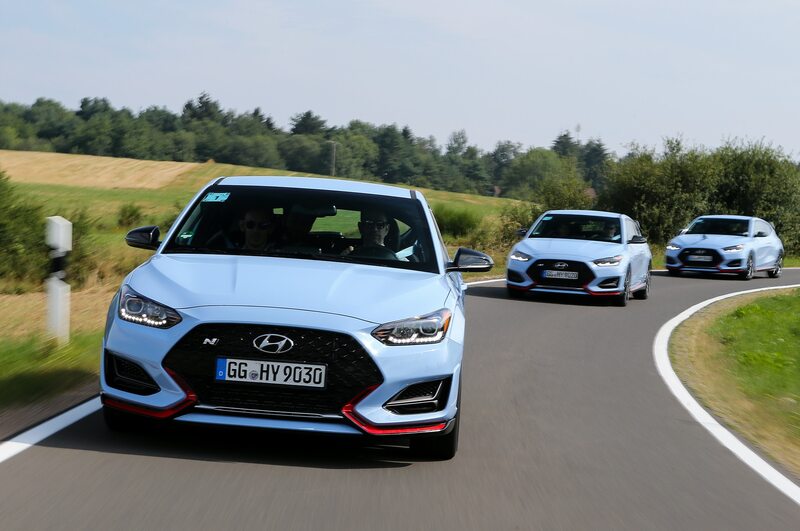 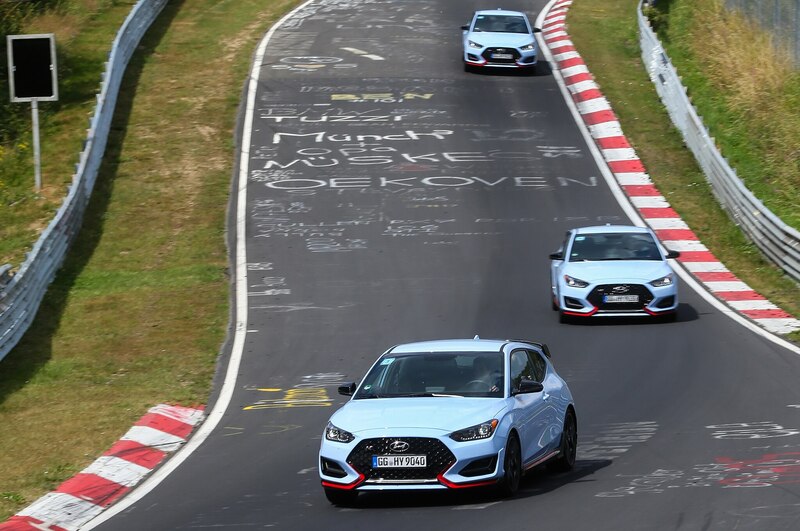 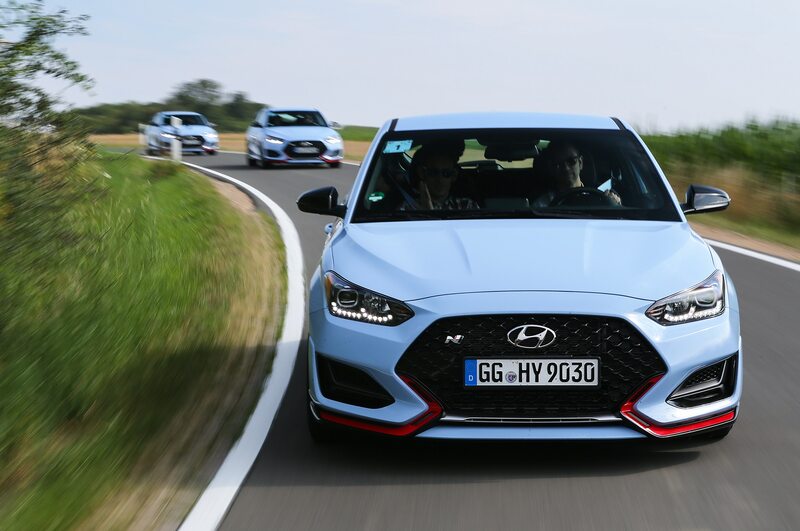 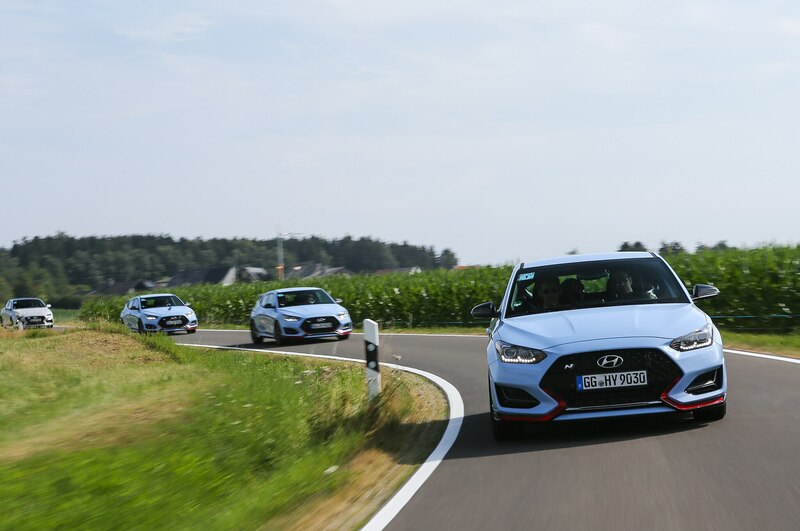 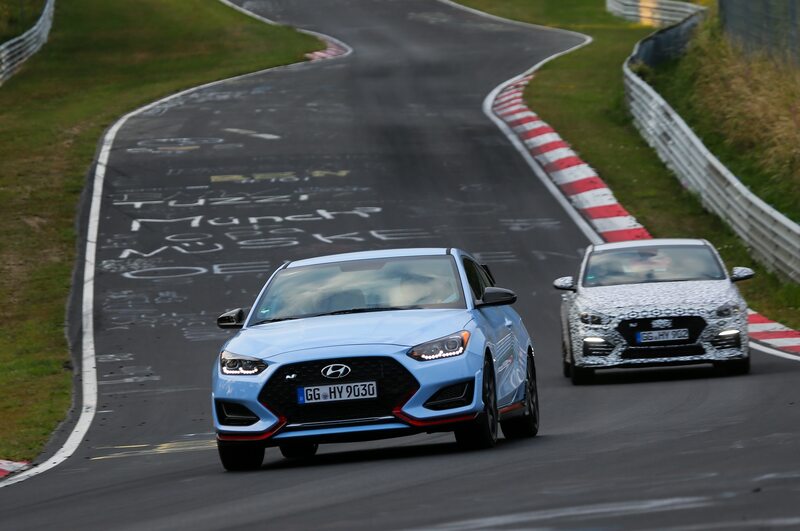 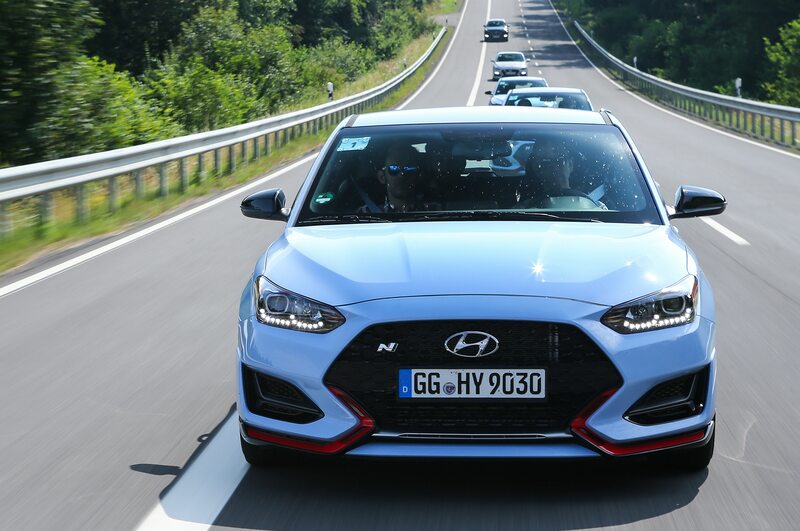 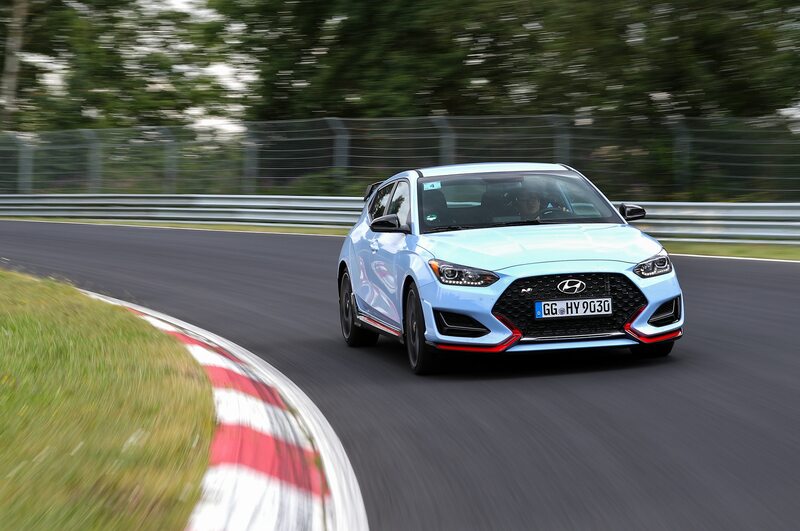 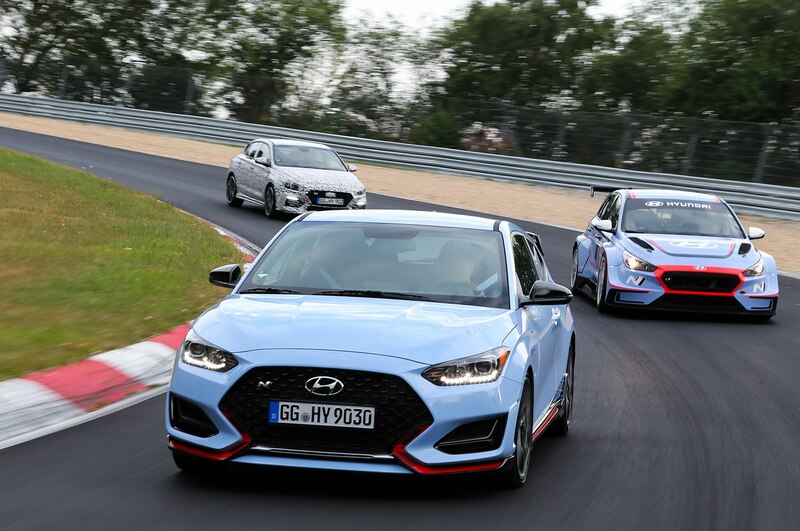 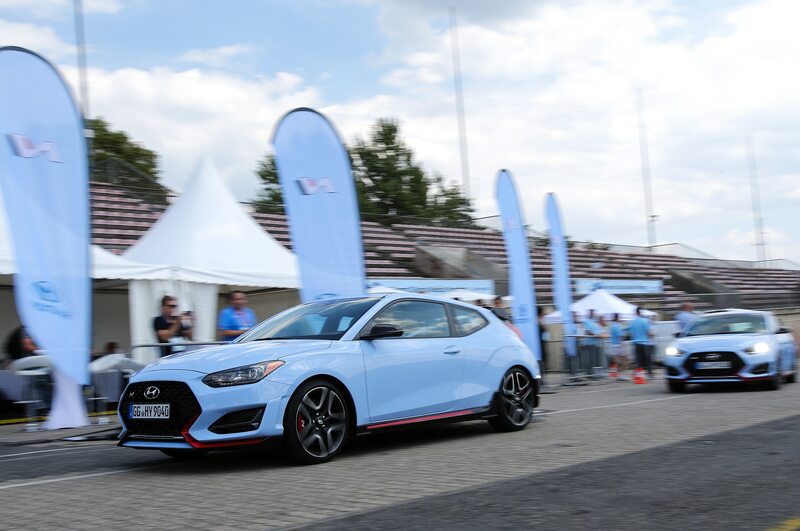 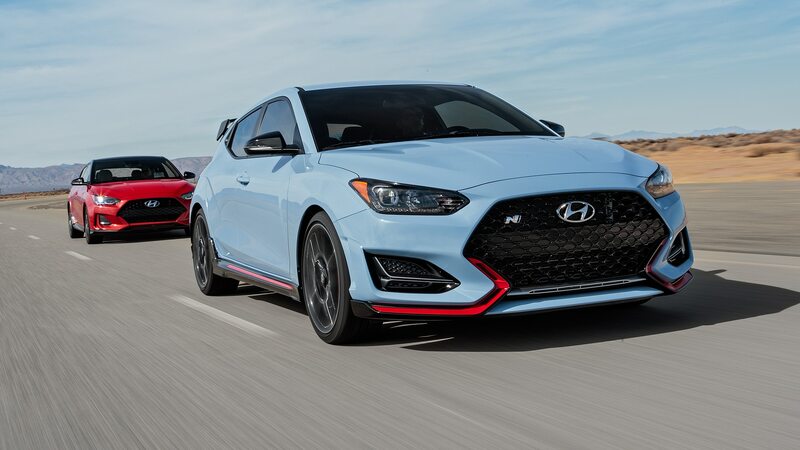 Currently, the Veloster and Veloster Turbo are already available, but you’ll have to wait until December for the Veloster N to land on dealer lots.